Have you ever considered ordering contact lenses online, but your eyecare professional discouraged you by saying it's not safe for your eye health? This website has all the information you need to decide whether you should order your contacts online. We discuss the benefits and risks involved, as well as many other health related topics about contact lenses. If you have never worn contact lenses, please DO NOT order contact lenses online. The first step is always an eye health exam and contact lens fitting. You may not be suitable to wear contact lenses. If you order contacts online without an eye exam or contact lens fitting, you risk infection and/or injury to your eyes. Contact lenses are medical devices and need to be fitted professionally. Having said that, once you have had an eye exam and have been fitted for contacts, it might be safe for you to order them online. Are Online Contact Lenses Safe? There is no clear cut answer, "yes" or "no". It depends on a number of different variables in your personal situation, that would determine whether it is safe for you to order contact lenses over the internet. have you had a history of eye infections in the past? are you happy with the contact lenses you are currently wearing? 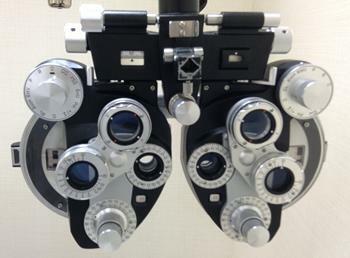 have you had an eye exam or vision check, and your prescription has changed? We will go through the many considerations you should be thinking of before you order contacts online. We will explain all the reasons you shouldn't buy online, and indicate when it is safe for you to do so. 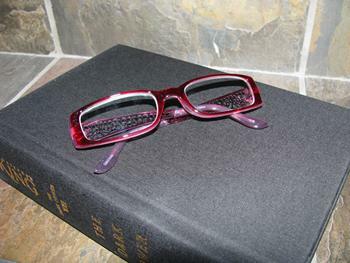 Eye care Professionals (optometrists, opticians, ophthalmologists etc.) tend to lean towards the safe answer by telling their patients that contact lenses that are purchased over the internet can risk the health of your eyes. That is definitely possible. But, it is also possible that you can safely order your lenses from an online vendor, and not worry about your eye health any more than you would purchasing from a store that you walk into. 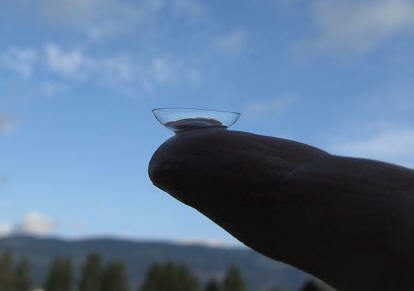 Even people who already wear contact lenses sometimes need to be reminded of the correct way to care for their lenses. In our busy world, people have a tendency to rush things and cut corners. When you see your optometrist and / or contact lens fitter, they will make sure you are cleaning the correct way, changing lenses when you should, and see if there is a better lens out there for you. This web site can act as an addition to seeing your eye care provider, and gives you a lot of information that you may have forgotten after you have finished your fittings. If you can't remember certain steps for example in cleaning, come back here and you will find the answer. 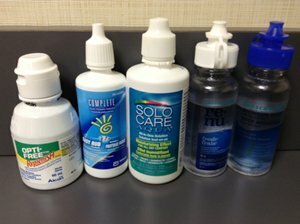 If you're having problems applying your contact lenses, see our page on insertion and you might learn a different technique. Contact lenses are not all the same and cannot be switched for another without consulting a professional fitter. Many people think that the "size" of their lens (or base curve and diameter) is the same regardless of brand or type, and can order contact lenses online with something different than they have been fitted with. Some people do this just out of curiosity. There are a number of things that go into determining which lens is best for you to wear, so please don't change to another without trying the lens out at an eye care professional's office. It must also be evaluated for fit, vision, comfort and health of the eye. Here we discuss the process of fitting into a new brand of contact lens. One time you should never order contact lenses online is if you are new to contact lens wear. 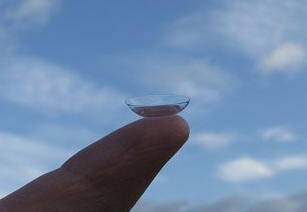 Contact lenses are medical devices, and need to be fitted properly by a licensed professional. If you have never worn contacts before, you might order the wrong base curve, the wrong strength, the wrong material, and many other possibilities that would be considered by an eye care professional. Poorly fitting contact lenses can cause damage to your eyes, as well as give you less than optimal vision. So please see your eye care practitioner first! Alcon/Ciba Vision have introduced a breathable and moist contact lens that changes the color of your eyes!